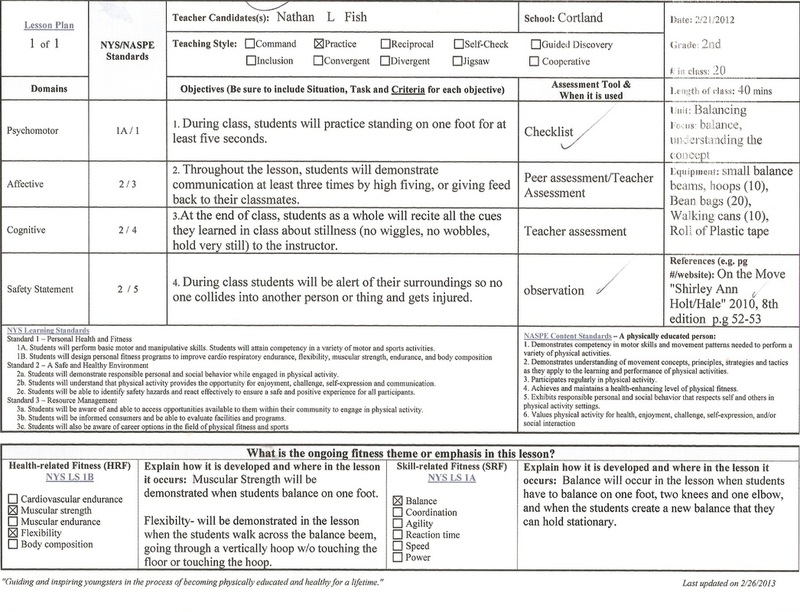 Element 3.1- Design and implement short and long-term plans that are linked to program and instructional goals as well as a variety of student needs. 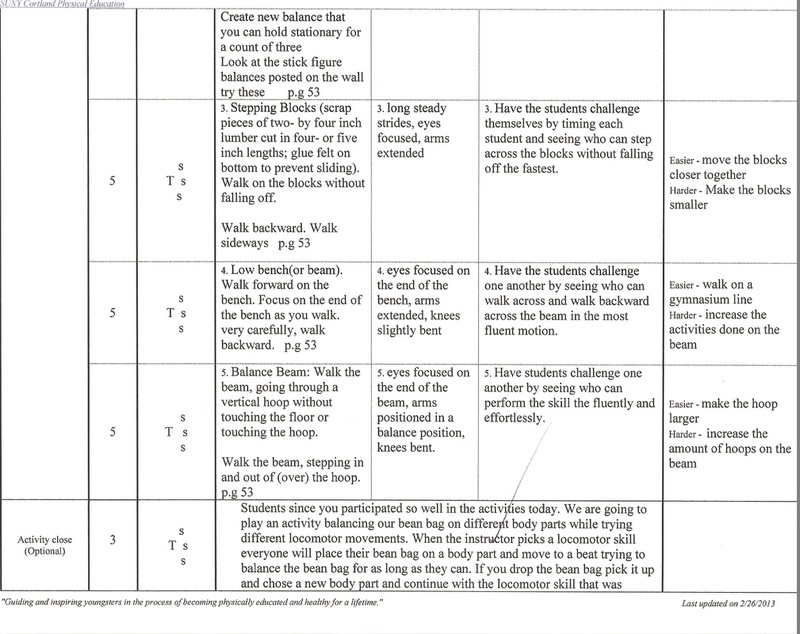 ﻿Reflection: The IEP is an Individual Education Program that I have set up for student A and in this document you will see the short and long term goals that I have prepared for my student. There are three different short term goals that I have prepared for student A and he is to reach these goals by week 5, week 7, and week 10. These goals were incorporated to help student A eventually reach his long term goal which is to have him be able to swim one full width of the pool using the freestyle front stroke without any assistance. Element 3.2- Design and implement appropriate (measurable, developmentally appropriate, performance based) goals and objectives aligned with local, state, and/or National Standards. 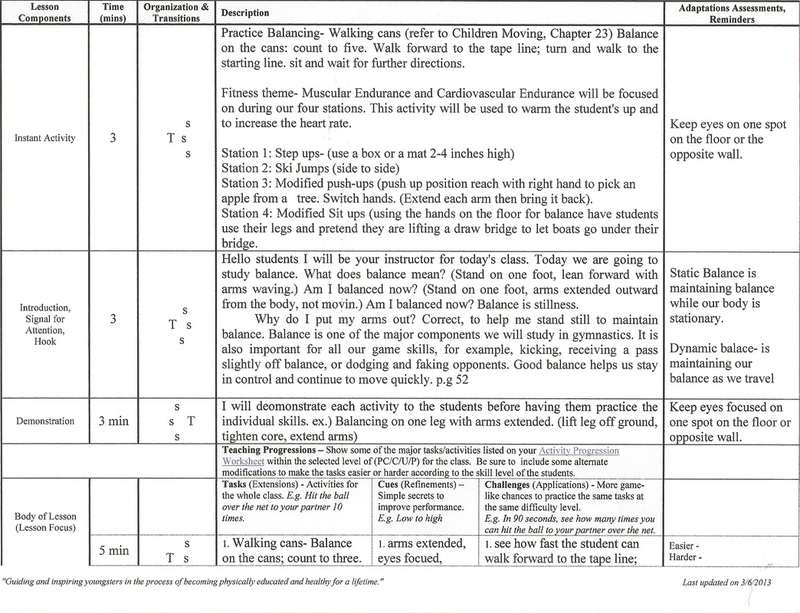 Reflection: This lesson plan was used to help implement and demonstrate the different ways of balancing. In this lesson students will learn how to demonstrate appropriate affective and cognitive skills. The affective domain is teaching the students how to cooperate and interact more effectively. The cognitive domain teaches the students about the importance of the subject and what needs to be learned during the activity. The students will perform various balancing skills and will have a designated time to practice each skill.